​The following information is provided to assist you in learning more about our online programs and processes. Online courses are all instructor-led and offered through our award-winning content delivery platform, WebCampus. Each course has its own web portal where students participate in weekly discussions (bulletin board style), access materials, submit assignments, etc. Many instructors are also making use of web conferencing systems to add a real-time component—usually for lectures, Q/A sessions, and even team presentations. Instructors schedule the real-time events as needed. Some instructors use them every week or every other week; others use them once or twice a semester. They are recorded so you can play them back later on—which comes in handy if you miss the actual session. The format of each course may vary. For example, management courses are likely to have active weekly discussions where students are required to reply to questions that the instructor poses to the class. Students are also encouraged to reply to the postings of their classmates. A mixture of team projects and individual assignments are also likely to be assigned. Exams may or may not be given, depending on the workload of the course. In contrast, there is less emphasis on weekly discussions in the more technical and math-oriented online courses. More emphasis would be placed upon homework assignments and projects. Students may post or email questions for their instructors at any time. Instructors are required to respond within 24 hours (though in practice many check the discussion boards several times a day). What do I need to do to apply to a graduate program? You will need to complete an online graduate admissions application. You will submit your official transcripts and two letters of recommendation. More information about the application process can be found on the Graduate Admissions "Application Process" page. What are the costs and fees to enroll in StevensOnline certificate and graduate programs? Information about tuition and fees can be found on the Tuition, Fees & Costs page. Are StevensOnline degree programs accredited? Yes. All StevensOnline programs are accredited by the Middle States Commission on Higher Education. Are the admissions requirements different for online students than they are for on-campus students? The admissions requirements are the same for online and on-campus Stevens students. What undergraduate GPA is required to be admitted to a StevensOnline graduate program? Generally a 3.0 undergraduate GPA is required for admission into Stevens. Consideration may also be given to those who have extensive work experience but may have slightly lower GPAs. Is the GMAT or GRE required to take graduate courses at Stevens? The GMAT and GRE exams may be required for some programs. StevensOnline students are considered part-time students and test scores may not be required. Please check the requirements for your school at the Graduate Admissions Requirements page. What is the process used to evaluate applications, and how long do admission decisions take? Once Stevens has received all the necessary documents, the application will be forwarded to the appropriate department(s) for review. It takes, on average, two to three weeks for the departments to make a decision. The Office of Graduate Admissions will inform you of the decision by email and posting the decision to your application profile. How can I get advice on which degree/program I should apply for? For advice on which degree would best suit your career goals, consult with one of our graduate admissions advisors at [email protected]. Before I apply for a graduate program, is there any way that I can review course schedules, syllabi, or contact instructors? Each course syllabus is included in the appropriate course description page. A generic schedule is typically part of the course syllabus file. You are free to contact any instructor to inquire about course content and assignments. Instructor contact information can be found on their school web pages. I was an undergraduate student at Stevens. Do I need to submit an application to take StevensOnline courses? Yes. Students returning to Stevens for graduate studies will still need to apply for graduate admission. When you specify that you are a graduate of Stevens on your application, the Office of Graduate Admissions will obtain your transcript from the Office of the Registrar at no charge to you. I started my graduate studies at a different college. Are my credits transferable? Stevens Office of Graduate Admissions and your program director will determine if credits earned at other colleges and universities may transfer to your program of study. I am an international student. Is an English language proficiency exam required? Yes, we do require international applicants to submit either TOEFL or IELTS exam scores. There are exceptions to this requirement. Learn more about English language proficiency requirements. Are discounts available to members of professional societies and organizations? Yes, Stevens maintains discount programs with many professional societies and corporate partners. To find out if you’re eligible for a discount, email [email protected]. I was just accepted. How do I register for classes? You can go to the myStevens web portal for access to all of your services as an online students. When you are admitted, you will receive an email about how to access myStevens and register for classes. If you need help, please email [email protected]. I was accepted into Stevens, but will not be taking classes immediately. How long is my acceptance valid? Newly admitted students may request to defer their acceptance for one semester. Students who have not enrolled within one year of their acceptance must reapply through the Office of Graduate Admissions. How do I get billed? What are the payment options? 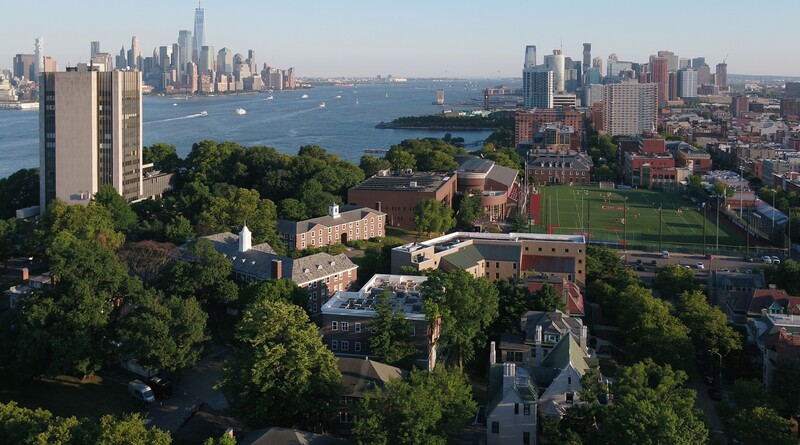 In an effort to provide greater, 24-hour access and increase campus-wide efforts to become more eco-friendly, Stevens Institute of Technology will be maintaining an online system that will enable all students to receive invoices electronically and make online payments by logging onto a third-party secure website. Deferred payment options are available. Please visit the alternative financing options page. My employer reimburses me for tuition, but I need to provide documentation for my grades. Whom should I contact to get this information? Most employers will accept a copy of your end of semester grade report obtained through myStevens. However, the Office of the Registrar can furnish you with this information. The Tuition Reimbursement Form can be used to authorize Stevens to send your employer your grades. Download the form. What kind of technical support is available if I run into problems? Complete details on helpdesk support are available in the Knowledge Base section. What kind of computer hardware and software are required to facilitate my studies? A complete explanation of hardware and software requirements is given on the Student Resources/Requirements page. What is the myStevens system? myStevens is a web portal that gives Stevens students, faculty and administrators to access email, schedules, campus news and announcements, and various school services. WebCampus courses can also be accessed through myStevens. For more information about myStevens services, visit the myStevens information page. Through our online course delivery platform, WebCampus, we have made web conferencing applications available for any instructor and/or group of students who wants to use them. These applications add a real-time component to online courses—usually for lectures, Q/A sessions, and even team presentations. Instructors schedule the real-time class events as needed. Some instructors use them every week or every other week; others use them once or twice a semester. These events can be recorded so you can play them back later on, which comes in handy if you miss the actual session. Alternately, some instructors use pre-recorded lectures on an "on-demand" basis. Can I access my online course(s) from work? Unless your company uses an unusually restrictive firewall, you should be able to access your course(s) from where you work. How do team assignments work? How often are they assigned? Details about how team assignments are to be conducted and graded are included in each course syllabus file. Many instructors (particularly for management courses) use a mix of team and individual assignments throughout the semester. In a typical teamwork-oriented course, teams are formed at or near the beginning of the term. The instructor may assign students to teams or have the students form teams on their own. Team members select whichever study methods work best for them, whether it involves email, conference calls, web conferences, or a mixture of all three. (The Interwise web conferencing system can be made available to students who need to coordinate team activities.) Upon completion, team assignments may be posted in the discussion area for comment, or presented to the rest of the class in a web conference, or both. How are tests conducted? Are final exams given? Details about how final exams are administered and graded are included in each course syllabus file. A week is set aside at the end of each semester for instructors to deliver final exams if they wish to do so. Students may have several days in which to take their exams. WebCT exams can be automated, with any combination of multiple choice, true/false, or fill-in-the-blank questions. Grades for these automated exams are available immediately after submitting the final answer. Instructors pre-set the number of hours that students have to complete their tests once they click the exam start button. Questions and answers are randomized so that no two students will receive exactly the same test. Essay questions may also be given, though in these cases, instructor intervention is required before grades can be posted. Some instructors may choose alternate modes of testing, such as faxed or mailed test sheets. In rare cases, instructors may wish to use proctoring centers, in which case students would need to report to a testing site to take their exam. Not all instructors make use of a final examination if there were multiple assessments of student understanding performed throughout the semester. How much time should I devote each week to my online course? The time required will vary from student to student, but a good rule of thumb is to set aside between 8-12 hours per week for each graduate course to ensure a successful outcome. If I need to withdraw from a class, what should I do? You can drop and add courses to your schedule through myStevens up until the final deadline at the beginning of each term. After the deadline you must submit the Change of Enrollment Form to the Office of the Registrar with the appropriate signatures. You can email the form to [email protected] for help with obtaining signatures or by emailing the appropriate faculty and program directors. Yes, you may audit StevensOnline courses subject to the applicable audit limits. Learn more about auditing courses. You have six years from the time you begin your studies to finish your master's degree. I have finished the requirements for my graduate certificate/master's degree. How do I obtain my actual certificate/diploma? The procedure for obtaining your master's degree or graduate certificate can be found on the Office of the Registrar website. I completed a graduate certificate and would like to move on to a master's degree. What steps do I need to follow to complete the transition to the master's program? The procedure for applying to the master’s degree is the same as when you applied for the graduate certificate. You will complete the online application. You may need to submit additional documentation if required for admissions to your selected master’s program. If you have questions, please email [email protected] for assistance.